Last week I went home and visited family briefly and I also got to visit my puppy. I don't know if you remember my post about Heidi. 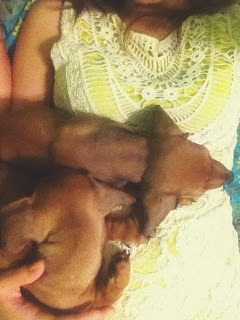 My dad was so upset over what had happened he went out and bought two other dachshunds- one for me and one for him. The puppy is still in Dallas and I won't be able to bring it to Colorado until she finishes her shots. 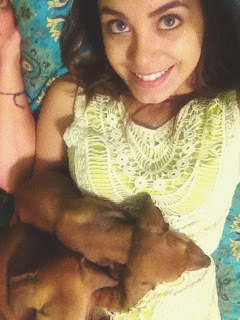 But I got to cuddle with these two cuties all weekend.